Our guild has a table for collecting fabric to be used in community service quilts. I recently picked up a bundle of (roughly) 5″ squares marked “indeterminate fabric” hoping I could turn them into a quilt. 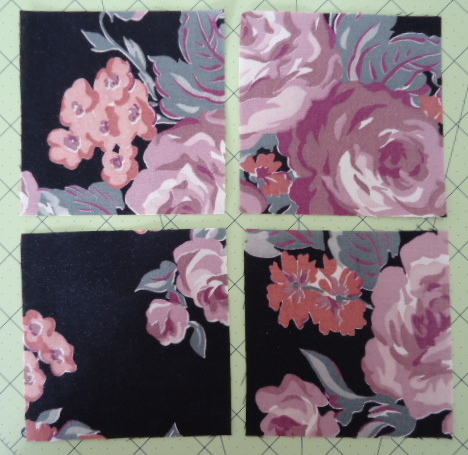 They were a bit flimsy so I had to starch them before I could trim them to 4.5″ squares. 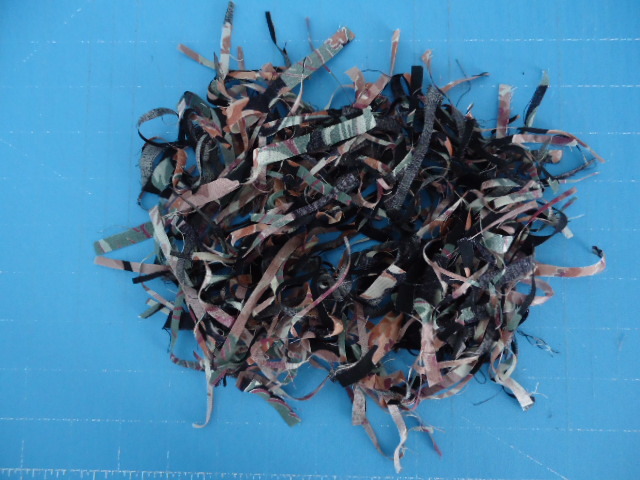 I also had some checked yardage which had been given to me so I dug through my stash and found some color matches. The checked fabric is on the heavy side for a quilt but I figure it will be super durable! The back is 100% checks and the front is 3″ squares. 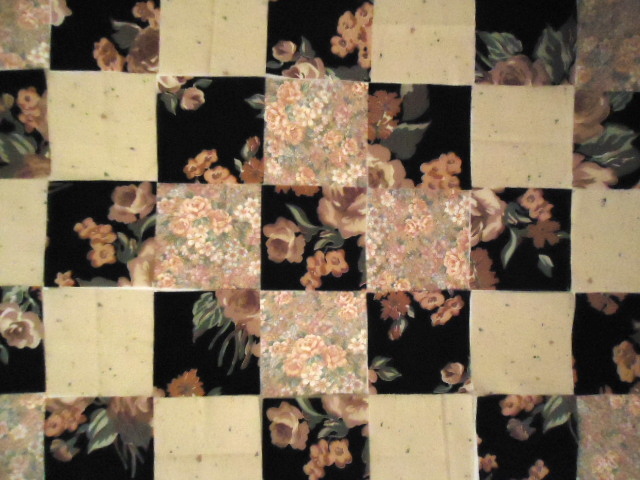 Lastly, I had several yards of dark floral that my mom gave me. I love how this one is turning out–also 3″ squares. 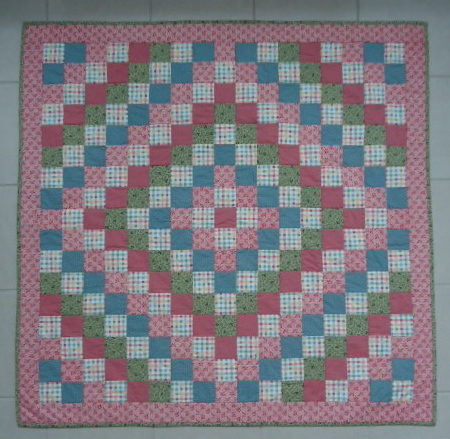 I just got it back from my mom who hand quilted it in the ditch (she needed a project). When I get the binding on, it will be ready to go. 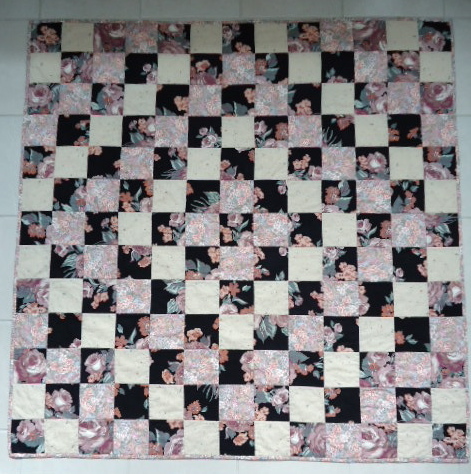 This entry was posted in community service quilts, family and friends, quilting and tagged community service quilts, family and friends, quilting. Bookmark the permalink. Good grief – you have been busy! No not very youthful – but not all recipients of quilts are young. They will find a home where they are loved. Do you donate to nursing homes ? Good for you!!! 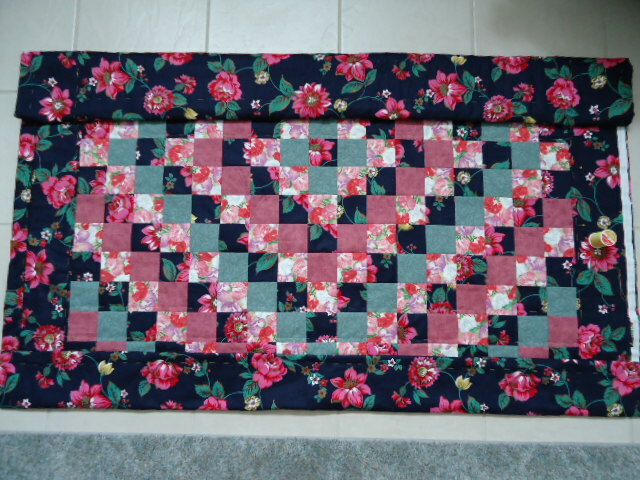 I am sure there will be lots of people who will love your quilts!I am thinking of donating some of my older and less loved quilts to a shelter that my guild makes quilts for. I love your work for others. You keep bringing it home how important charity work is! You’ve been busy! 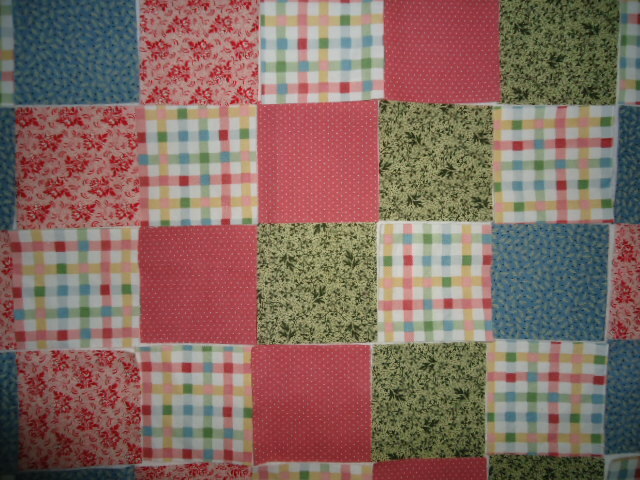 Isn’t it fun to see how just some little squares can turn into beautiful quilts. Makes them all that much better knowing they will be going to someone who will really appreciate them.